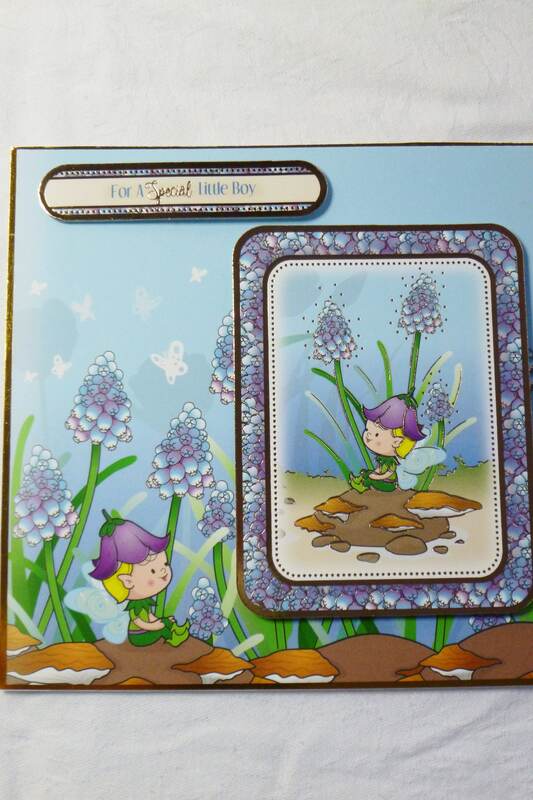 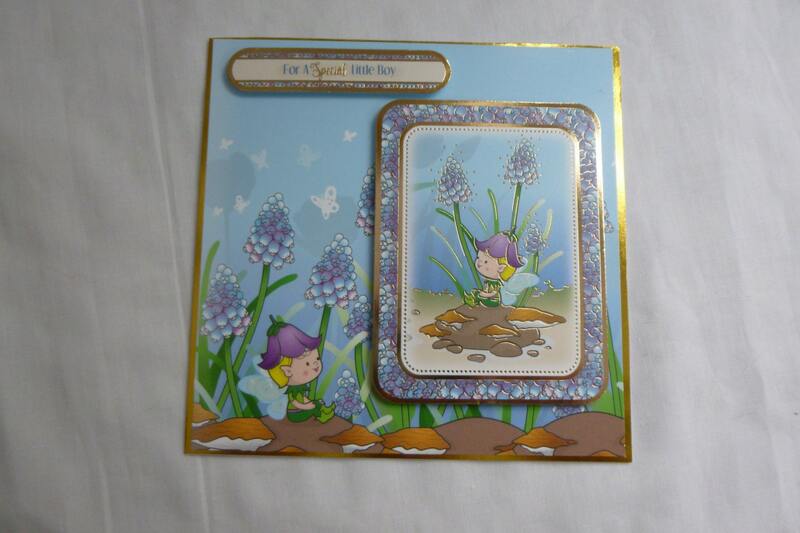 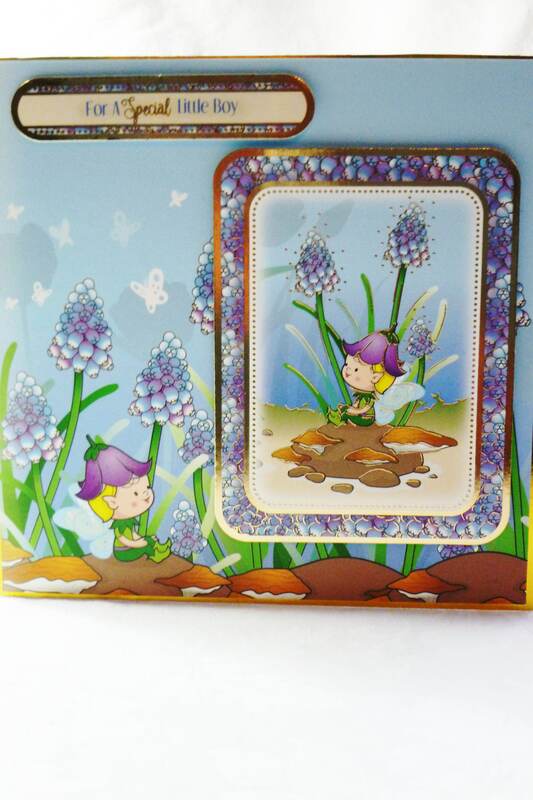 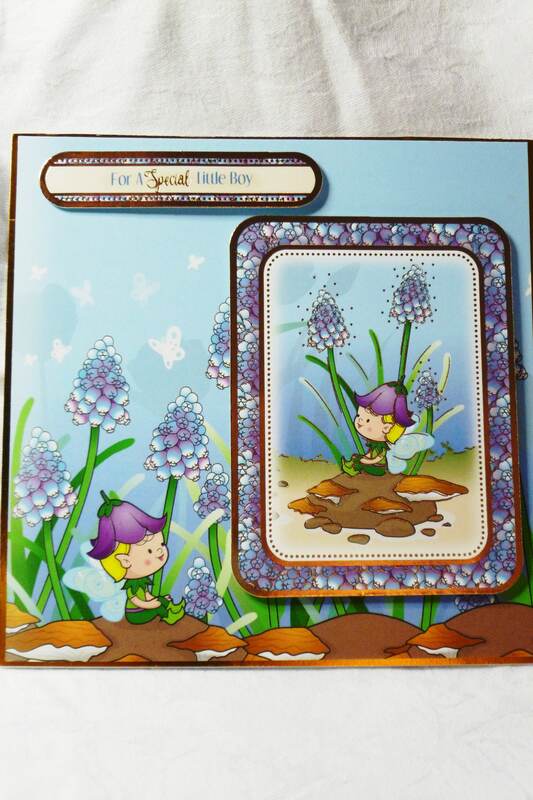 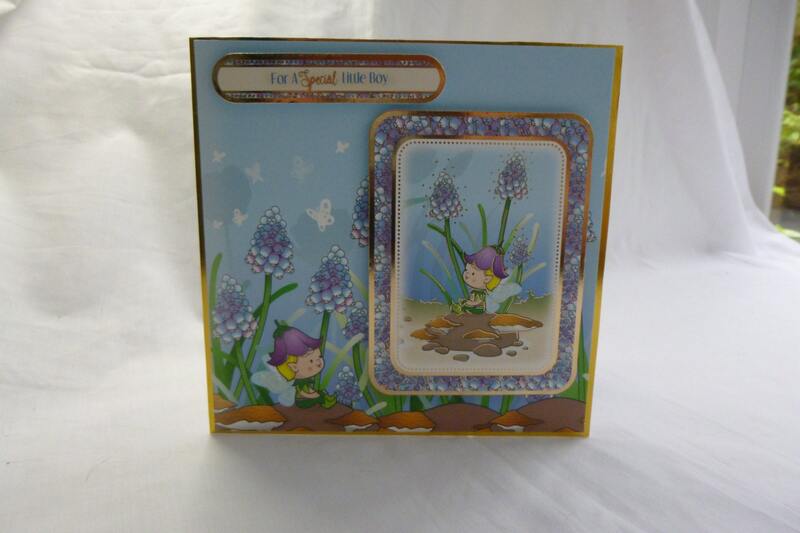 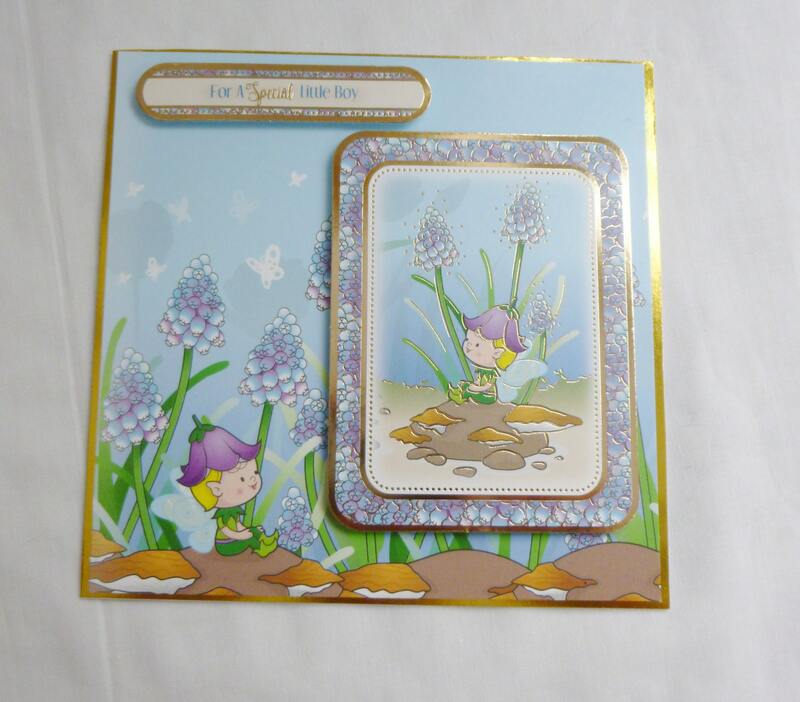 A very cute card for very special little boy, blue pattern card with blue flowers, butterflies and a pixie/ fairy, a large topper with another pixie. 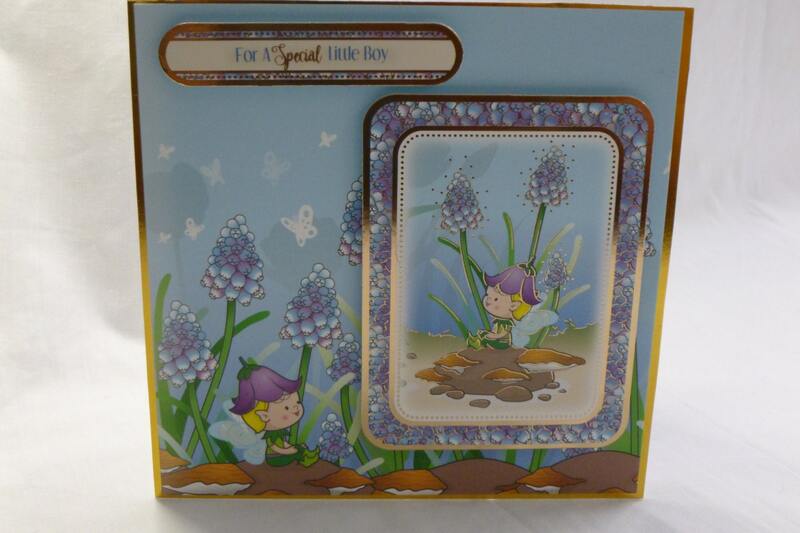 A sentiment in the top left of the card, which says, 'For A Special Little Boy'. 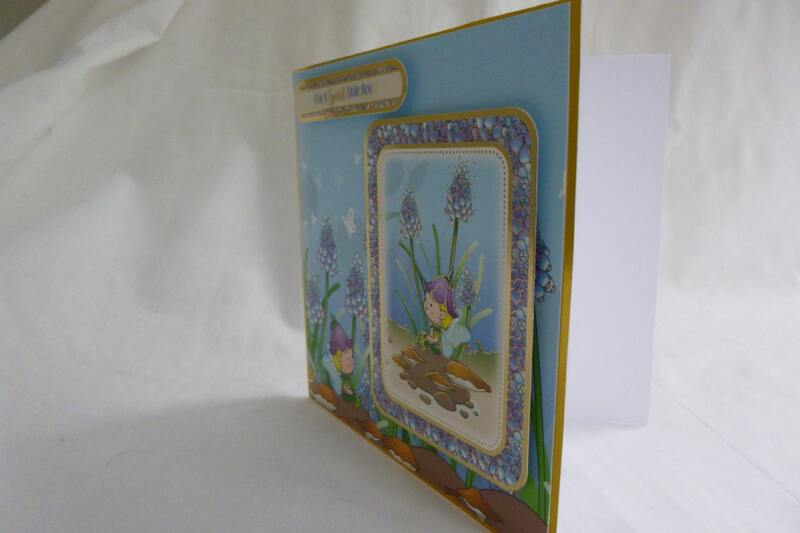 Inside the card is left blank for you to write your own spacial message.